Safe-Lab PTFE Thermometer-Tubing Joint Adpter Joint Size 24/40 (Lot of 2) . New Life Scientific, Inc. This adapter is new out-of-the-package and it was acquired from a US pharmaceutical company. 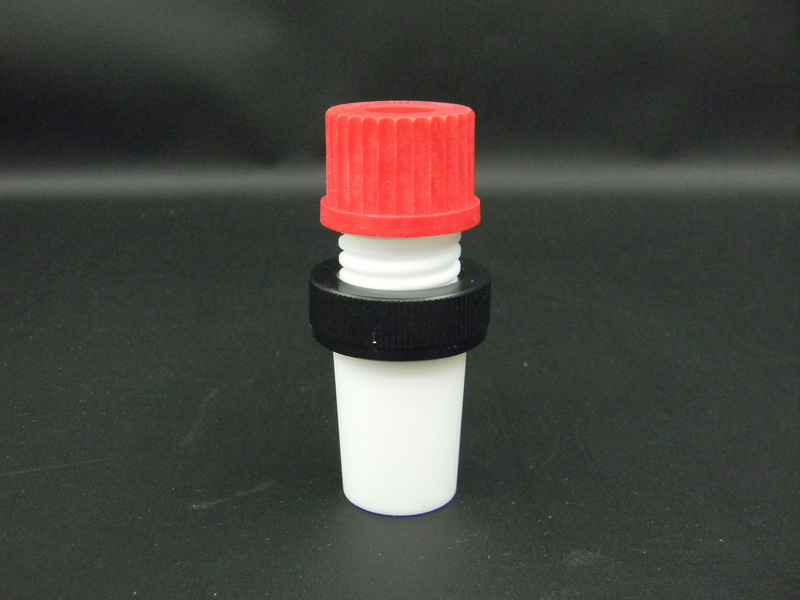 It has a 24/40 joint stopper with an extracting nut and GL25 screw cap that has a maximum temperature rating of 200º C degree. There is an opening in top of cap for thermometer or tubing. If you are in need of laboratory supplies or glassware, please see a selection of Pyrex, ACE, Chemglass, Buchi and other brands available in the New Life Scientific web store!